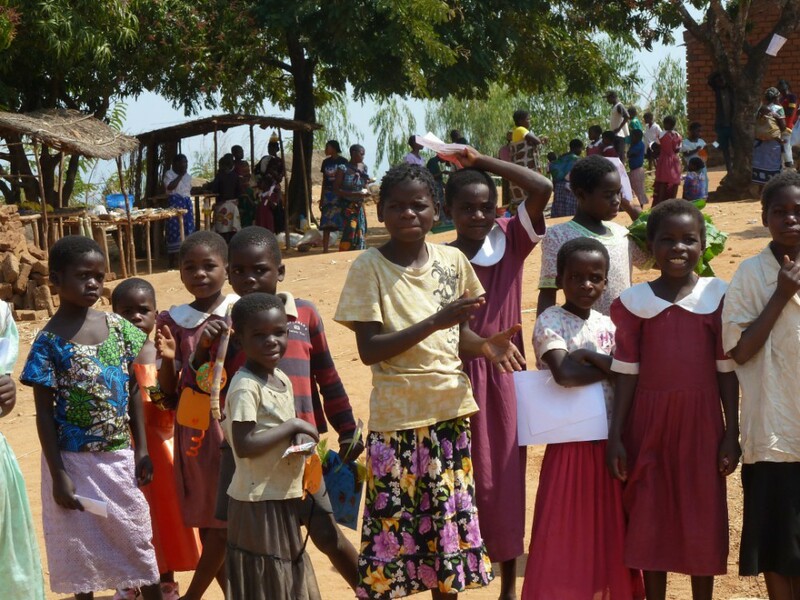 Faith Movement Pentecostal Church is an indigenous Mission Organization registered in Malawi.This page has been created to help them to get the word out about their work. GAP Ministries, the owner of this website, are not involved with the work of Faith Movement Pentecostal Church but are supportive of it, and would like to see that others support it too. We were a Team of 8 committed Disciples 5 men and 3 Women including myself and my wife Irene and we left Kande Mission center on 30th Wednesday Evening and we arrived in Mozambique Thursday afternoon. Honestly, the place where we went for Outreach Evangelist Crusade in Mozambique was very difficult remotest rural Community. The bridges were too bad and narrow Road. By God' s grace and favor we arrive safely without any breakdown of my PICKUP VEHICLE, however, we were too tired. Our hearts were touched and filled with great joy excited because people who gathered were singing and dancing welcome us with great joy because my Pickup Vehicle was the only vehicle to go their place. We arrived in Mozambique Thursday3pm afternoon and We started the Crusade Thursday 7 pm to 10 pm night and a lot of people came to attend the Crusade and one of my Co-Pastor Nafital Phiri preached a very powerful salvation message and few people gave their lives to accept our Lord Jesus Christ as their personal savior. MORNING DEVOTION Friday4am to 6 am we had morning devotion praying interceding for the outreach Crusade. 9 am to 12noon, we had Teaching session to encourage them. EVENING CRUSADE 7 pm to 10 pm Evening Evangelist Crusade and a lot of people came to attend the Crusade and Pastor Margaret preached a very powerful salvation message and a lot of people gave their lives to accept our Lord Jesus Christ as their personal savior and we also had healing miracles to all sicknesses and deliverance to all who were possessed by demons. MORNING DEVOTION Saturday4am to 6 am we had morning devotion praying interceding for the outreach Crusade. MORNING DEVOTION Sunday4am to 6 am we had morning devotion praying interceding for the outreach Crusade. 7 am to 9 am Bathing and Breakfast. ORDINATION 9 am to 10 am, Kawelama was ordained as their Senior leader- Simon K. Chirwa ordained him. SALVATION MESSAGE 10 am to 12noon, Simon K. Chirwa preached a very powerful salvation message and a lot of people gave their lives to accept our Lord Jesus Christ as their personal savior and we had healing miracles to all sicknesses and demon deliverance to all who were possessed by demons. MUSLIM CHIEF I praise God because the amuslim chief of that community came to attend the Crusade. We are very thankful and greatly appreciated to Holy Spirit of God for the great work which has been done in Mozambique through Us and for new Disciples who accepted Jesus Christ as their personal savior and joined our church congregation in Mozambique and we have planted a very powerful strong Church. 2 pm I close the conference with a word of prayer and we departed Mozambique 3 pm Sunday afternoon. SAFE ARRIVAL we praise God we arrived Kande Mission safely Monday morning without any breakdown of my PICKUP VEHICLE going and coming back. WONDERS AND MIRACLES We are very thankful for the Healing miracles to all sicknesses and demon deliverance to all who were possessed by demons and a lot of wonders and miracles happened in Mozambique through your prayers Suppor. Final, Thank you very much because all these wonders and miracles happened in Mozambique because of your Faithful Prayer Support. I will send you few photos so that you can see the great work of God which has been done in Mozambique. MY HEART INTERCESSION PRAYERS to GOD is that You and ME should hold hands in FASTING PRAYER and work together to help POORLY LOCAL CHILDREN and ORPHANS CHILDREN of my Community/Society who are very Bright Intelligent clever but they can' t go to School because they don' t have Resources. BREAKFAST & FOOD My Vision and Prayer is that Everyday morning from 10:00 am to 10:30 am I will be providing Breakfast Tea or Porridge and from 12 noon to 12:30 pm MEAL to every child, day Feeding program, Same as OM is doing at NTAJA BASE at MACHINGA DISTRICT. MISSIONS STATEMENT is to Transform Communities by Providing good quality Education to the Society for the glory of God. HEAD & CLASS TEACHERS My Vision plan is to employ good quality God Fearing Christian Workers, reborn Christian filled with holy spirit and well Trained Class Teachers, who will be seriously committed to hard working to provide good quality Education, Sports, Social and Religion to Transform Children in my Society and for Job Creation for the glory of God. SUBSIDIZED SCHOOL FEES My Vision plan is that after all School Blocks are successfully completed then I will ask parents or Relatives to pay a Subsidised Fees for each Local poorly CHILD, but ORPHANS CHILDREN will be on Scholarship and FEES MONEY will be used to pay well Trained qualified TEACHERS. BUILDING PHASE by PHASE Through Fasting Prayers and great commitment and hard working I believe that I will manage to Build Phase by Phase until the whole Project will be successfully completed although I don' t know how long time it will take to be Finished and how much money it will cost, I will be sending you to update feedback reports on how the project development will be progressing. 8-Eighth Small Block with 3 Rooms for Male Toilets. God spoke and Confirmed to me that I must first start Building NICE DECENT COMMUNITY CHRISTIAN PRIMARY SCHOOL to Transform my Community/ Society by Educating Children both Orphans and Local Poor Children for literacy alleviation. Am glad to inform you that last week I had a 24hrs total dry prayer Fasting without Water and Food, during this Prayer Fasting, I seriously prayed and asked God to confirm about ORPHANAGE BUILDING PROJECT.